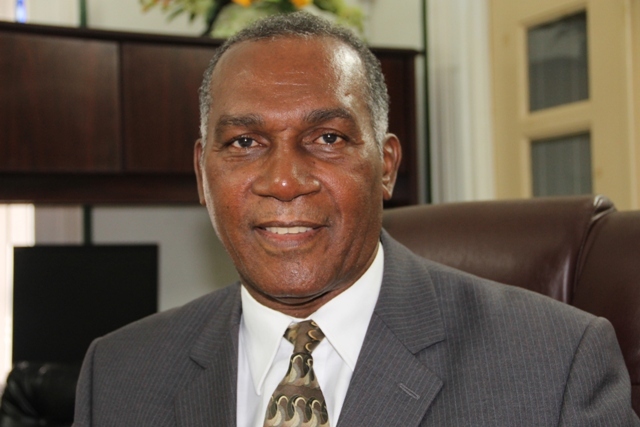 NIA CHARLESTOWN NEVIS (APRIL 27, 2015) — The following is a national address by Minister of Labour and Premier of Nevis Hon. Vance Amory on April 25, 2015, on the occasion of World Day of Safety and Health at Work observed annually on April 28th. On the 28th of April each year, the International Labour Organization (ILO) of which St Kitts and Nevis is a member state, observes World Day for Safety and Health at Work to promote the prevention of occupational accidents and diseases globally. It is an awareness-raising campaign, intended to focus international attention on the magnitude of the problem and on how promoting and creating a safety and health culture can help reduce the number of work-related deaths and injuries. April 28th is also the International Commemoration Day for Dead and Injured Workers, organized worldwide by the trade union movement since 1996. Its purpose is to honour the memory of victims of occupational accidents and diseases. The celebration of the World Day for Safety and Health at Work, calls for us to promote the creation of a preventative safety and health culture involving all key stakeholders in the world of work – national authorities, trade unions, employers’ organizations and safety and health practitioners and Social Security Boards. Such a theme is timely. The time is ripe for us here in the Federation, to commence the creation of a preventive culture in Occupational Safety and Health (OSH) to ensure safe work places, decent work and also to ensure increase in productivity, diminishing the increasing cost to our social protection schemes but most importantly, to protect the health and safety of people. How can we commence the building of a preventative culture? Building a culture of prevention on Occupational Safety and Health is a joint commitment by government, employees, and employers. It starts at the top and trickles down to the workplaces, the schools and finally the home. It calls for a tripartite approach to creating a national occupational safety and health culture, one in which the right to a safe and healthy working environment is respected at all levels. Governments, Private Sector employers and workers must actively participate in securing a safe and healthy working environment, through a system of defined rights, responsibilities and duties and the highest priority accorded to the principle of prevention. It also requires that employers at the top, not only buy in to safety as a priority and ethical responsibility but are willing to invest both time and monetary resources to establish the principle but just as important, it is necessary to ensure the participation of workers as a critical element in recognizing and identifying hazards; contributing to well-informed risk assessments; planning effective preventive measures and implementing prevention and mitigation measures in the work place. The development of a culture of prevention in schools, calls for the inclusion of aspects of safety and health in the curricula in both primary and high schools. Such a programme, will emphasise the importance of formal partnerships between institutions as a means to promoting Occupational Safety education and training in a well-established structure. Such institutions may include, for example, the Ministry of Education, the Department of Labour, the Ministry of Health, employers’ representatives, chambers of commerce and industry, workers unions, social security and occupational risk prevention experts. If everyone takes ownership, the workplace will be clean, the environment will have a healthier safety culture and people will be happy in their jobs. Therefore, I implore both the public and private sectors to adopt this approach and ensure that all workplaces in the Federation are safe and healthy. I now take this opportunity to wish all a safe and productive work “safe day.” Remember prevention is better than cure. Therefore, we can begin now to work today “building a culture of Prevention in Occupational Safety and Health” in our workplace so that our work, can be decent, safe and productive.